“Why is that fish NOT moving. Well, I’ll just wait here for a bit. Hmmm”……. 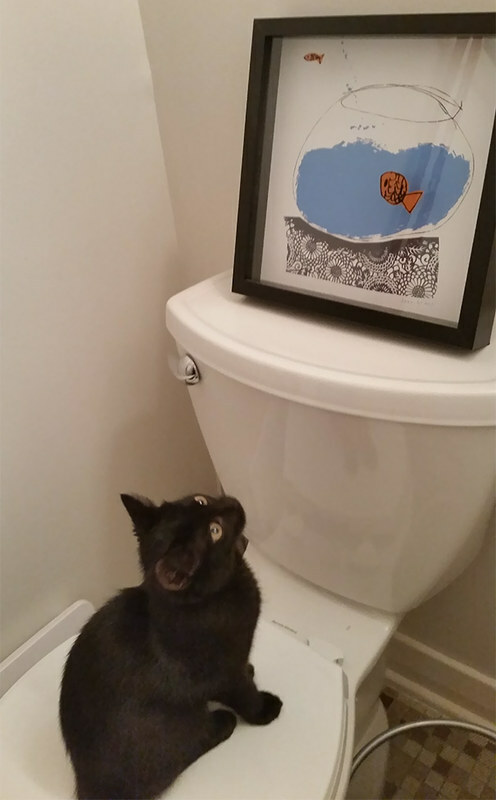 …and before I even scrolled to see the kitty…I was stuck on the little fish outside the bowl, seeming quite fine.